As a university located in the State of Berlin, HTW Berlin serves the interests of regional development by contributing its research and developments as well as through the transfer of knowledge and technology. 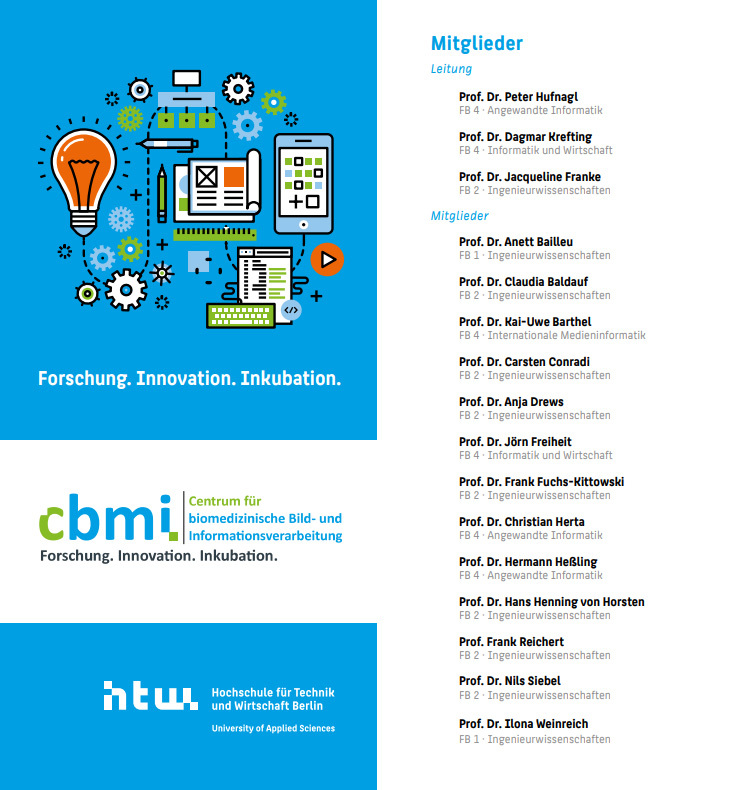 HTW Berlin actively promotes innovation. Teaching staff and students cooperate with partners at other universities, in industry, administrations, culture and society. Contact us at the InnoGermany office or submit a business inquiry online. InnoGermany GmbH provides talents, ideas and innovation in product development plus engineering abilities across all areas needed to come up with innovative medical products. Service includes industrial design and CAD, mechanical engineering, mechatronics, electronics, programming, optics, production and science, marketing and consulting.